Shallow button topped, Allen key fitting bolts and closed bottom nuts. Supplied in pack of 5. I need some replacement bolts to attach my inner cyclotourist chain ring to my outer chain ring, are these the correct ones? 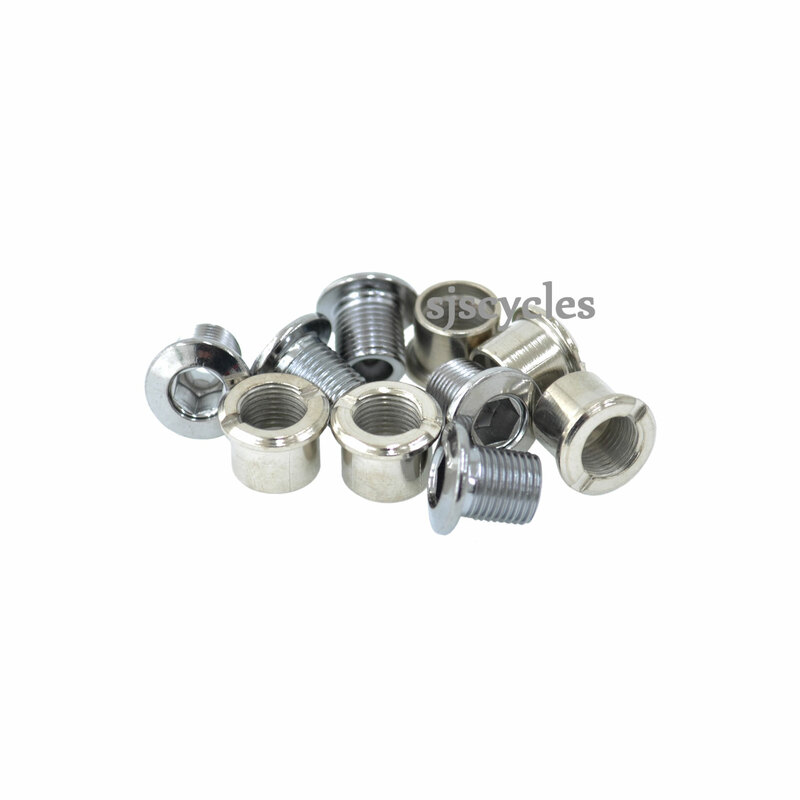 Ta used slightly different dimensions of bolts over the years so it would be worth checking that your chainrings can take a bolt sleeve that is 10mm in diameter and 6mm long before purchase.